The TC400-CAN-A60 from Dolgin Engineering features integrated battery plates that support Canon and third-party BP-A30 and BP-A60 batteries. These batteries are used with Canon's C300 Mk II camera. 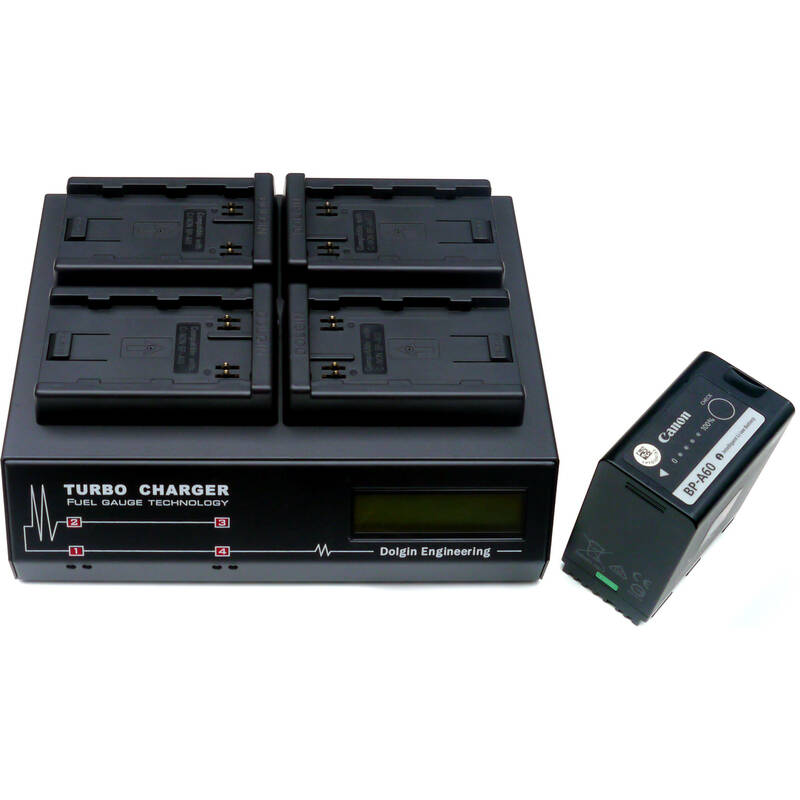 The TC400 has an LCD screen on the front panel that displays charge status in volts, amp hours, and percentage of charge that's estimated using a proprietary algorithm. The TC400 has fully independent channels and deliver simultaneous charging to all four batteries. A single or four BP-A60 batteries will charge in approximately five hours. Charge Time A single or four BP-A60 batteries will charge in approximately five hours. Box Dimensions (LxWxH) 11.7 x 9.2 x 4.2"